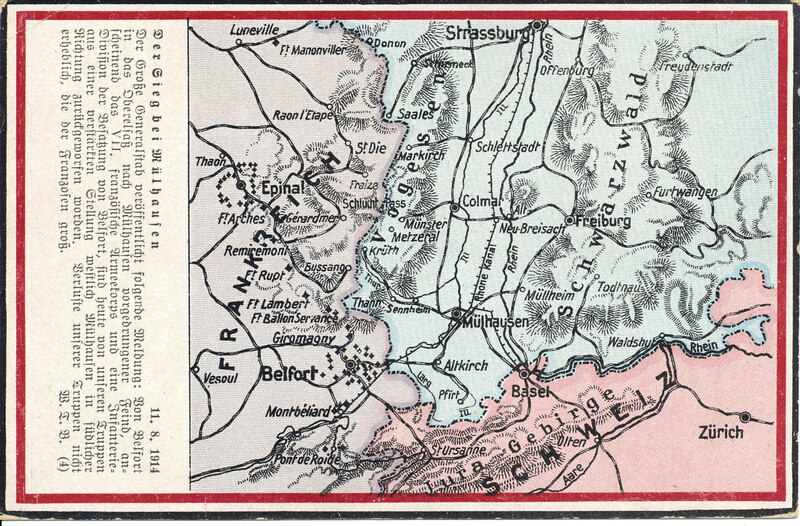 The 'Battle of the Borders' might be a clearer term, the battles on the borders of France and Germany, and France and Belgium, the initial execution of the French and German war plans, with France's attempt to drive into Germany across their shared border, and Germany’s invasion of neutral Belgium to strike France along its Belgian border and seize Paris. General Joseph Joffre, commanding French forces, expected two German drives, the first advancing west directly into his forces in Alsace-Lorraine, and the second into Belgium before turning south into France relatively quickly. He resisted the notion the Germans would advance across most of Belgium before turning into northern France. The French were initially successful in attacks by the First and Second Armies into Alsace, capturing, but then losing, the city of Mulhouse. On August 14, north of Alsace, two French armies advanced into Lorraine, before being driven back by two German armies. The German plan had called for a fighting retreat on the left wing to lure the French forward, while the right wing moved rapidly across Belgium. In driving the French back, the German counter-attacks gave the French an opportunity to regroup. Joffre next attacked on August 20 with three French armies in and west of the Ardennes Forest, thinking two of the armies could cross the Forest before facing German forces. 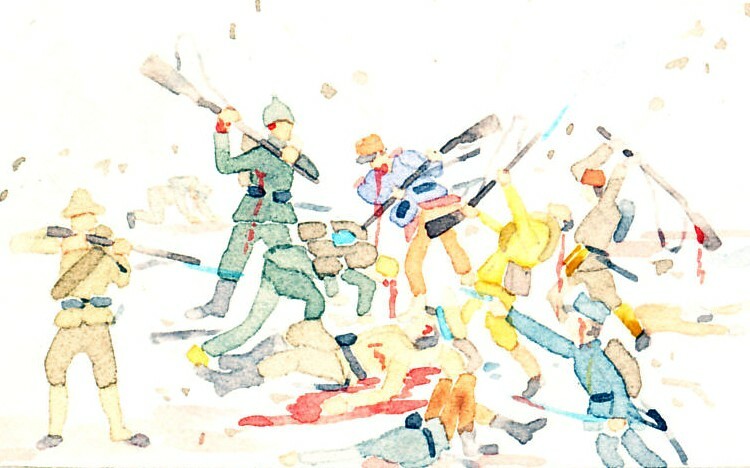 He was mistaken, his attack failed, and the French retreated. At the western end of the French line, the French Fifth Army faced three German armies, and had only the British Expeditionary Force on its left. 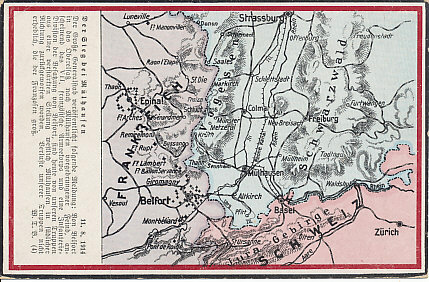 As the French retreated, the British first stood at Mons, the first British engagement of the war, then retreated as well. The Belgian Army had retired to Antwerp, and their allies, Britain and France, were on the verge of begin driven entirely from Belgium.